Some of the most quaint, charming and romantic corners of Paris. Can you picture yourself here? This is the most popular viewpoint of the Eiffel Tower in Paris. 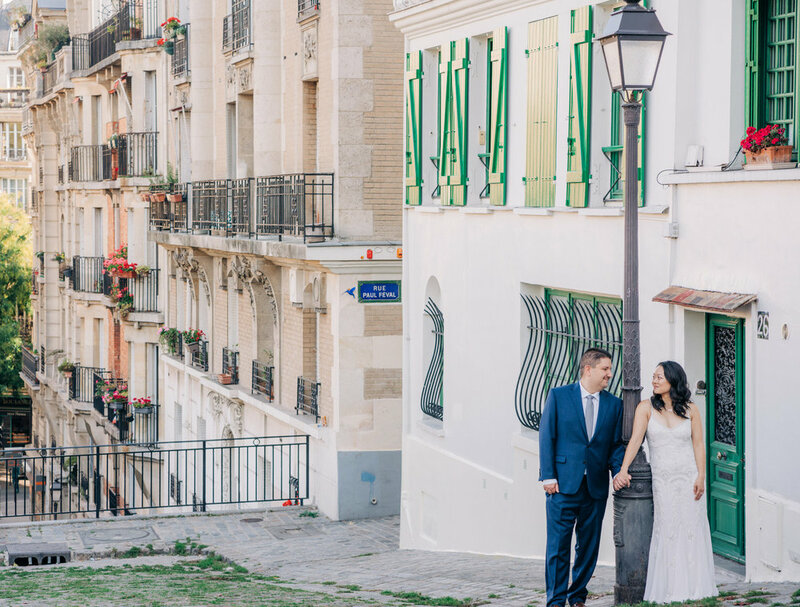 With panoramic, sweeping views of this famous icon, I’ll photograph you on the staircases and gardens for truly romantic images you’ll want to print and put in a really pretty frame! 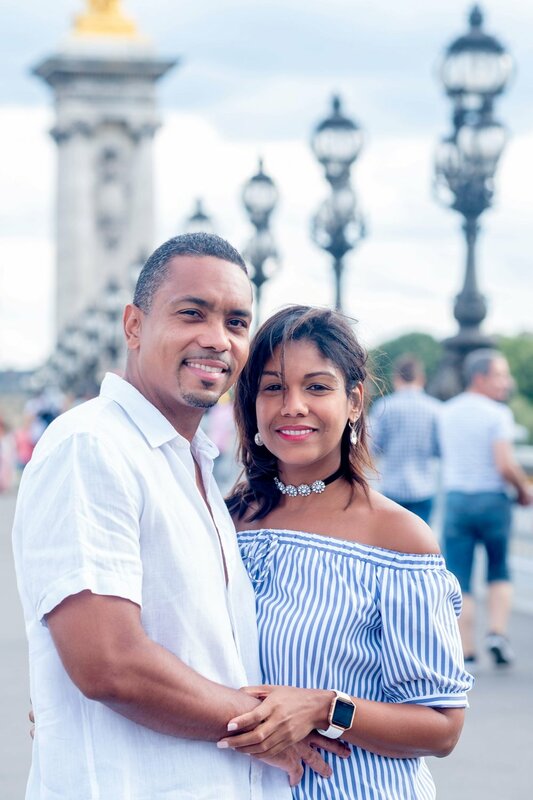 This ornate wrought iron bridge is one of my favorite locations to photograph couples for interesting views of the Eiffel Tower. This part of Paris is very scenic and has even been in a few movies! The Seine River is peaceful and perfect for a stroll. 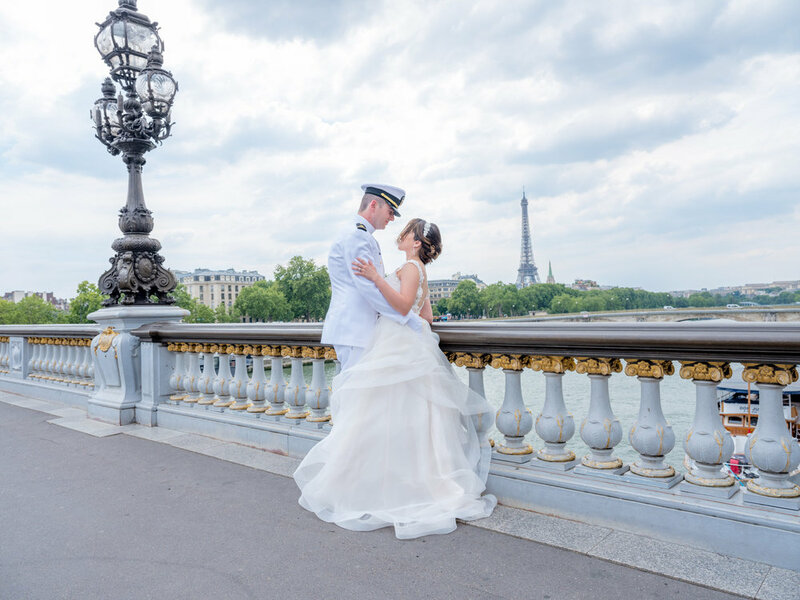 I love to create natural, easygoing art of couples near the Seine River with views of the Eiffel Tower. Even in the rain! One of the most charming neighborhoods in Paris, Montmartre still retains its village feel. You can practically feel the ghosts of great artists like Monet and Van Gogh walking the streets, paint brush in hand. 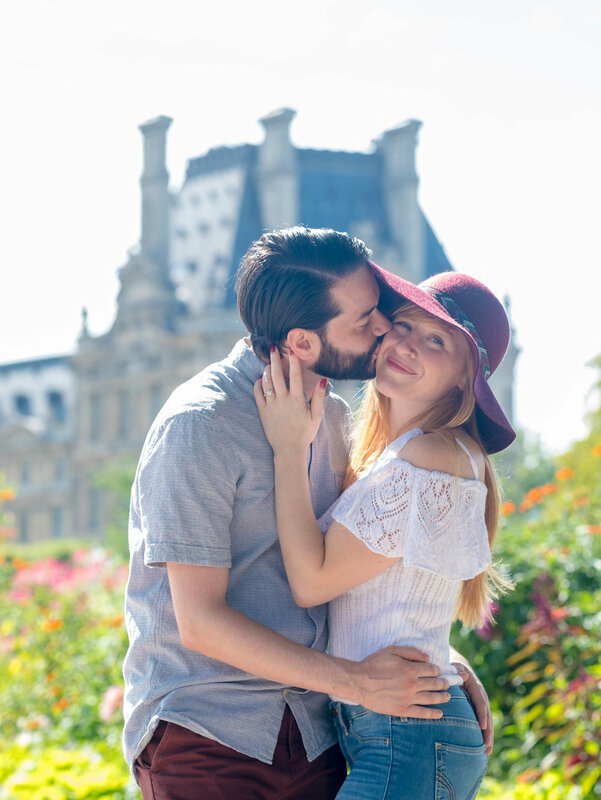 One of the very best places for romantic couples photography in Paris! A former palace, you’re the king and queen when you’re photographed in the magnificent courtyard, near the glass pyramid or in the nearby Tuileries Gardens. Meet me in St. Louis, Ile St Louis, that is! If you love charming cobblestone streets, old cathedrals, famous bridges and river scenes, then this area is one you won’t want to miss! The most beautiful and elaborate bridge in Paris, the Pont Alexandre has a view of the Eiffel Tower, but its the beautiful lanterns and gold trim that enchant almost everyone who walks across it. Magnificent gardens in Paris are places of relaxation, reflection, and romance. Walking hand in hand with the one you love, sharing a baguette sandwich, or just reading a book. Paris gardens are enchanting. You can’t be in Paris without spending time in a charming Parisian café, it just goes with the territory. Share a cafe au lait with your loved one and watch the world go by! A little square not far from Notre Dame Cathedral, you may mistake it for a movie set. Surrounded by amazing architecture, its the perfect place to cuddle with the one you love.